ATOKA, Okla. (AP) – Oklahoma prison officials say they are searching for a minimum-security state prison inmate convicted of weapons charges who walked away from a state prison in southeastern Oklahoma. 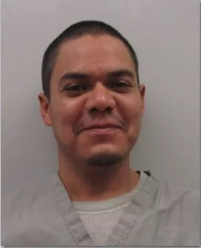 The Oklahoma Department of Corrections says 35-year-old Alvaro Rodriguez was discovered missing Monday from the Mack Alford Correctional Center in Atoka County. Prison records indicate Rodriguez was convicted in August of various charges in Tulsa County, including possession of a sawed-off shotgun or rifle, drug possession and commission of a felony with a firearm that had its serial number removed. He began serving his sentences at the prison Aug. 31.
Corrections department officials say a canine unit and local law enforcement officers are searching for Rodriguez. The prison houses about 800 male inmates in medium- and minimum-security cells.